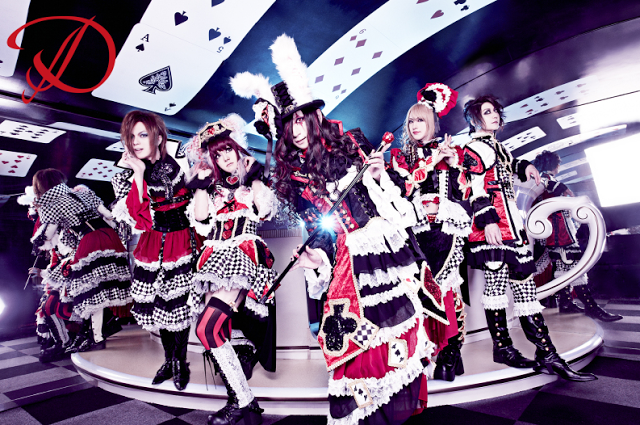 D - "HAPPY UNBIRTHDAY" Release Details | VKH Press – J-Rock & Visual Kei Coverage Worldwide! As we previously reported, D would be making a comeback this year with a nationwide tour and single release simultaneously name HAPPY UNBIRTHDAY. The details of the single have been revealed, and it will be released in a total of four different types! Type A includes a bonus DVD with a music video for the title song and its making-of. Type B includes a deluxe booklet and a CD with a different tracklist. Both of these types will cost ¥1,800. Types C and D, the two "regular" editions of the release, will only hold the CD, but Type C will have a longer track list, making its price ¥1,200, while Type D will only have a 3-track disc, making its price ¥777. HAPPY UNBIRTHDAY will be released on September 16th, in the middle of their revival tour. There is an additional bonus offer for those who purchase all four editions of the single in one order through CDJapan! They will send a special slipcase that can house all the four editions of this single. This offer ends when the bonus runs out.